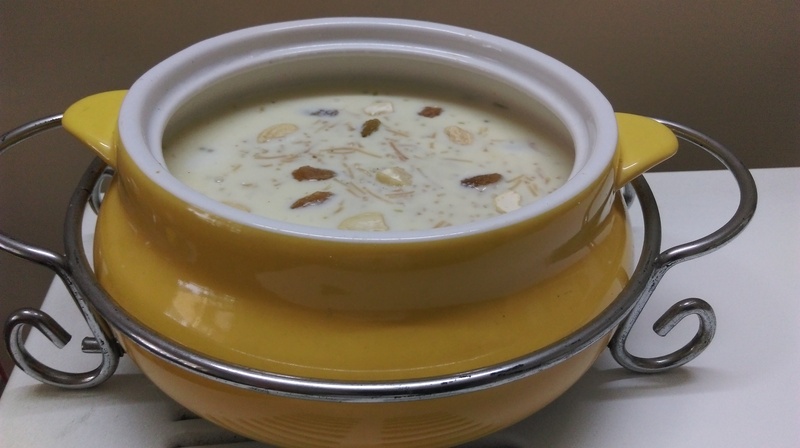 Quick and Easy Vermicelli Kheer. 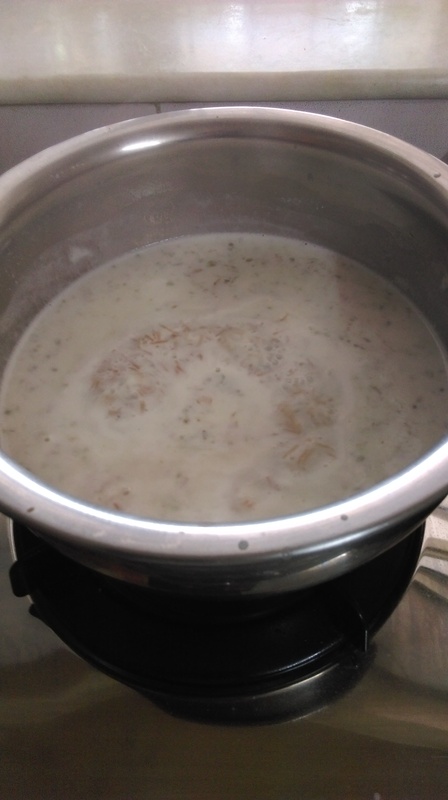 Kheer needs no occasion to be made, just an extra litre of milk in the fridge and it is an easy dish to make. With other basic ingredients that are readily available in the kitchen, Voila!! 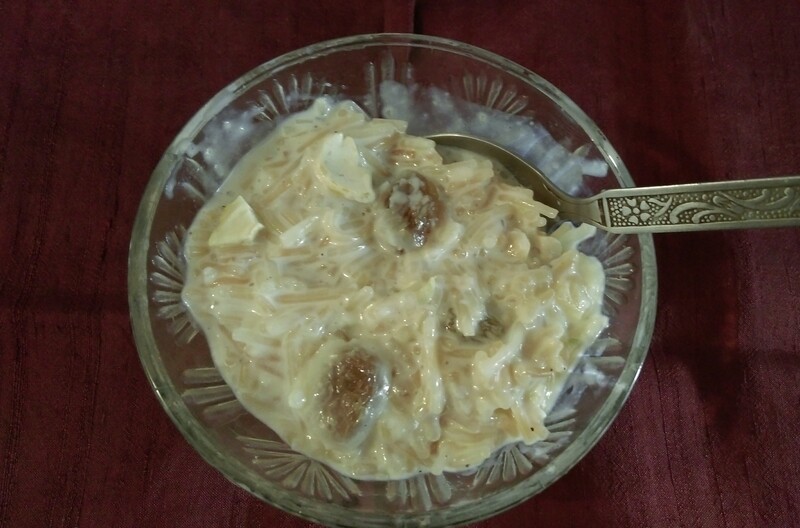 Vermicelli Kheer Tayyar in a jiffy. 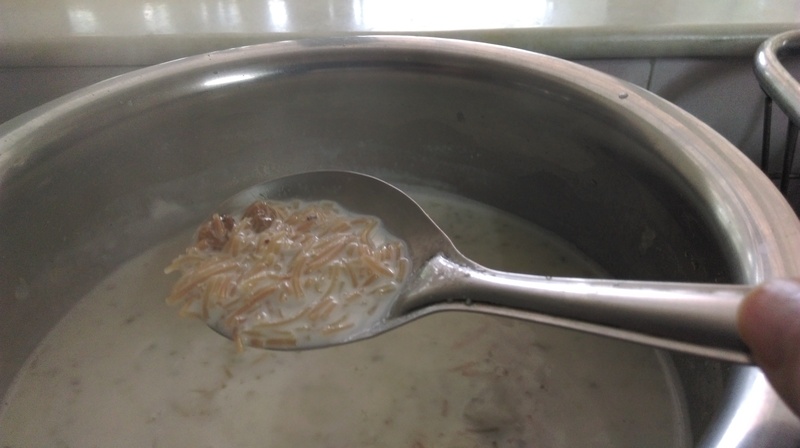 I decided to make Vermicelli kheer this Sunday, inspired by a picture put up on twitter by the FBAI.My family was in for a treat. Here goes the quick and easy ingredients and recipe I usually use to make it. 1.Use a nonstick or heavy bottom frying pan to roast the seviyan in ghee for about two minutes on medium low heat. Set aside to cool. 2. Pour milk in the pan and let it come to a boil first. 3. Add sugar and let it dissolve in milk. 4. Add the Seviyan and stir often to ensure the milk does not burn in the bottom of the pan, and also keep scraping the sides of the frying pan. 5. Simmer till for some 5-7 minutes till the seviyan (vermicelli) gets cooked and the milk thickens a little. Add the cardamon powder too. 7. Stir in chopped Cashew nuts and Raisins. Garnish with a few for better presentation. Your yummy Vermicelli Kheer is ready. This can be served hot or cold. 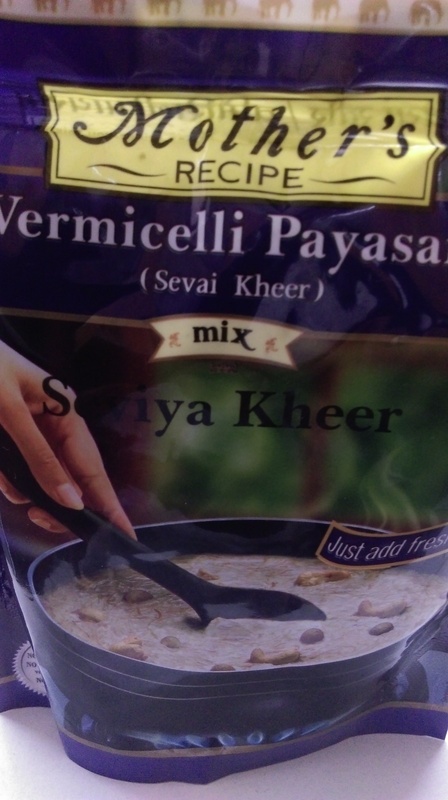 However this time I did a short cut and used Mothers Recipe mothersrecipe.com Vermicelli Payasam( Sevai Kheer) Mix. The packet is for Rs 50/-. I just mixed the whole packet in one litre of milk and let it cook for 15 minutes. The result was the same authentic taste I get when I use my recipe. This was creamy and loved by my entire family.